- Hook and Eye Fur Closure at neckline. 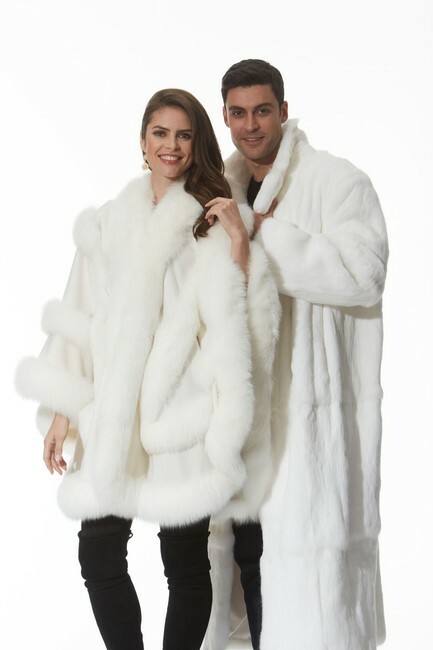 .Sumptuous winter white cashmere trimmed in natural winter white fox creates a stunning cape that will float you through the cold weather in utter enjoyment! 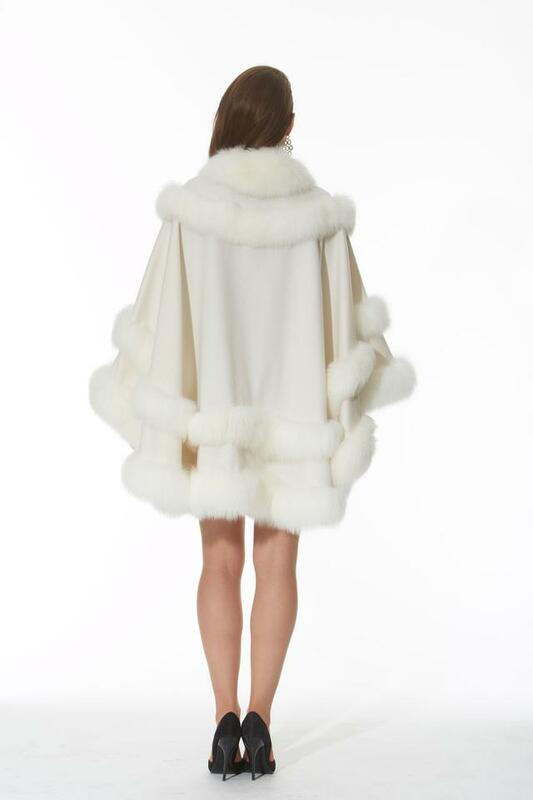 Drifts of white fox cascade down and around the drapes and folds of this lovely cashmere cape giving you a new and lovely way to dress for the holiday season and all fall and winter occasions.